I, CHIU HOK YIN, have been fond of Chinese martial arts since my childhood. 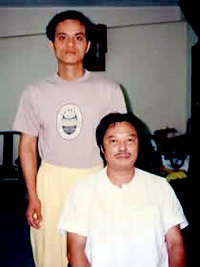 When I was a youth, I began to train Ving Tsun diligently under late master Wong Shun Leung. With his patience in teaching, I have been benefited from it profoundly for my life. Besides my endeavor to practice Ving Tsun, I tried out and exchanged techniques with other Kung Fu schools from 1975 to 1987. In 1984, I participated in the Guangdong, Hong Kong and Macau Wushu Fighting Invitation Match as a representative of Master Wong's school. I won the champion. Master Wong awarded me a certificate as encouraged me to be an instructor, in order to enhance Ving Tsun by providing more chances for people to learn. 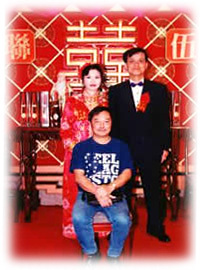 Eventually, I have founded CHIU HOK YIN VING TSUN MARTIAL-ARTS ASSOCIATION, under license, till the present. 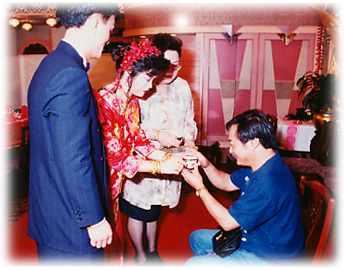 I was entitled to be a director of the board of VTAA, the deputy of China H.K. Traditional Martial Arts Assoc., and the advisor of Sanda of H.K. Wushu Union.
.: CHIU HOK YIN :.
.: Champions & Awards :. 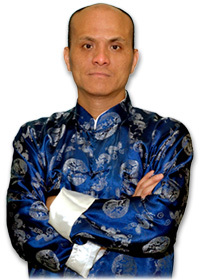 (C)Copyright 2005-2007 Chiu Hok Yin Ving Tsun Martial Art Association. All rights reserved.